MARS Rocks Around The Bay! Maybe it’s our inhospitable winters that create an environment that promotes toughness. It might also have to do with the commitment consistently shown by a growing group of Masters runners in Muskoka, members of our local running club, Muskoka Algonquin Runners(MARS). Whatever it is, it was on display Sunday, at the Oldest Road Race in North America (since 1894), The Around The Bay 30K. Sixteen club members, and 35 runners total from the region, competed in the race. All these runners have slogged it out through an incredibly brutal and cold winter, with only a few steps on dry ground before race day. On MARS, we are tired of pretending that winter is going to end. We have accepted that it won’t end, at least not anytime soon. Still, there’s a great deal to run toward right now as we head into April. 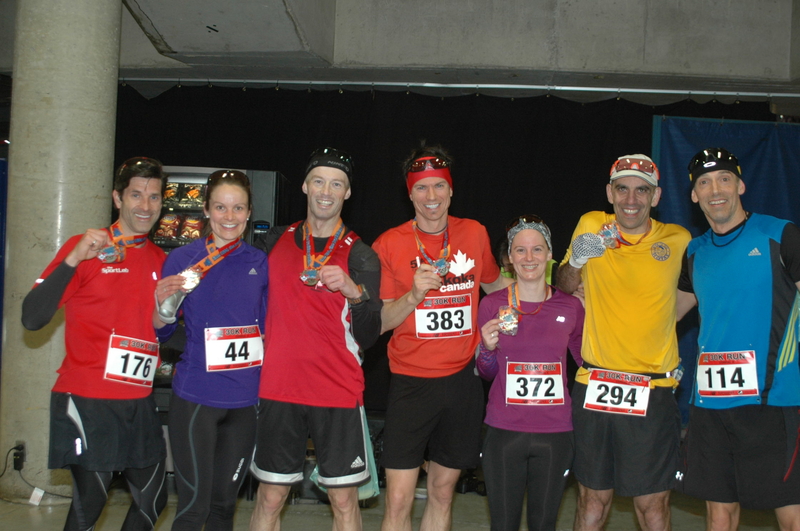 The Around The Bay 30K road race takes place next Sunday March 29. There are 30+ local runners heading to Hamilton to rock that town. 6 of those runners will use this as their last tune up before they and two others head to Boston for The Boston Marathon on April 20. Following these spring races, MARS will continue its scheduled runs Tuesdays, Thursdays and Sundays with base training and then will ramp things up again for our summer program to get runners ready for fall XC season again. Details of our summer program will be available by May 2015. MARS has finally hit March, so spring must be close. It’s hard to tell looking through all the snow falling. It’s crunch time for Around The Bay Runners, with less than a month of training left. The hardest segment of training is underway. MARSians meeting this morning did a difficult Even Steven workout, with lots of running at race pace or faster. We actually ran on real pavement for significant stretches which was great. Join MARS and have access to our training calendar at TeamSnap. Membership information can be found here. Check out the Around The Bay course to start visualizing!